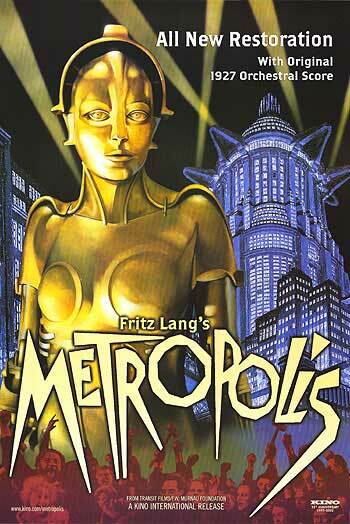 Fritz Lang's Metropolis--the unedited version is now restored and currently playing at the Film Forum in NYC. The long lost footage had been hiding in a film archive of the Museo del Cine in Buenos Aires, Argentina for over 80 years; and has now since reappeared in its full glory to the public and in NYC nonetheless. The German silent film that has influenced the likes of its successors such as Blade Runner, Star Wars, and the Matrix, has come quite the long route from its first launch in Berlin back in 1927. Argentine film distributor, Adolfo Wilson saw the movie at the initial premier and immediately bought the rights to the film prior to its pre-hacked Paramount Pictures' version. Since then, the movie has been archived from one museum to another in Argentina--patiently waiting to make its second debut after resting on a shelf for decades on end. Now the complete story has an extra 25 minutes added to its original narrative and is waiting to be rediscovered right here in the West Village. So if you're in town and a lover of film, make sure to pencil this one in before it disappears for yet another century. By then, who knows how our inheritors will digest one of the very first Sci-Fi films in cinema history--attempting to forecast the future of human kind compared to their unforeseen present. We'd certainly like to attend the premier for that one, wouldn't you?